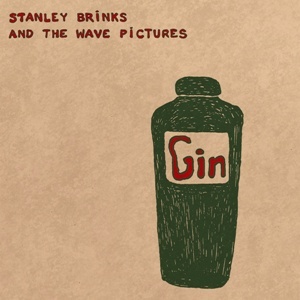 Stanley Brinks (of Herman Dune) once agan joins his old pals, The Wave Pictures, for a booze inspired LP entitled, Gin. It’s a fitting title for an album brimming with snickered lyrics and tipsy melodies. Of the three albums credited to Brinks and The Wave Pictures, Gin quickly sets itself apart by sounding both tart and immediate. That probably had something to do with Brinks forgetting to send out demos before recording and maybe alcohol playing a small supporting role as well. 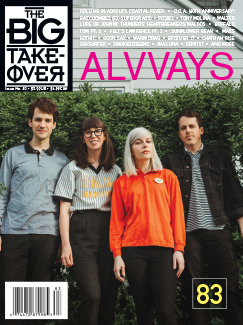 All that being said, nothing here is detrimental to Brinks’ keen observations, nor to The Wave Pictures’ ability to steadily deliver. In fact, it adds some vigor to the established collaboration. Gin plays like any good night out. It starts out a little sauced, gets a little wild, divulges some deep thoughts, and ends up so mashed that things actually make more sense at the end than maybe they did in the beginning.